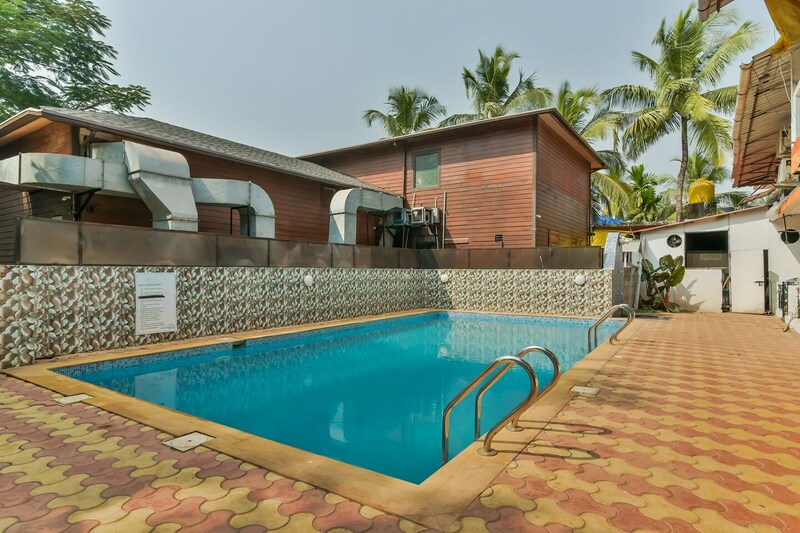 Hotel Zinho's is located at Baga, Goa. Cross at the Holy Trinity Church, St. Alex's Church, Mae De Deus Church and Blue Whale Water park are few kilometers away from the property. The rooms feature a spacious balcony where seating arrangements are available. One can relax here while enjoying the view of the surroundings. The several amenities that the hotel offers include free Wi-Fi, AC, swimming pool, TV, in-house restaurant and bar. Baptis Bar and Restaurant, Limelite Bar and Restaurant, Domino's Pizza, Taste of Punjabi and Patio 23 are located in close neighborhood of the hotel.